On Baron Philippe‘s death in 1988, Baroness Philippine de Rothschild, his only child, inherited not only a treasure, shared with her three children Camille, Philippe and Julien, but also a heavy responsibility. 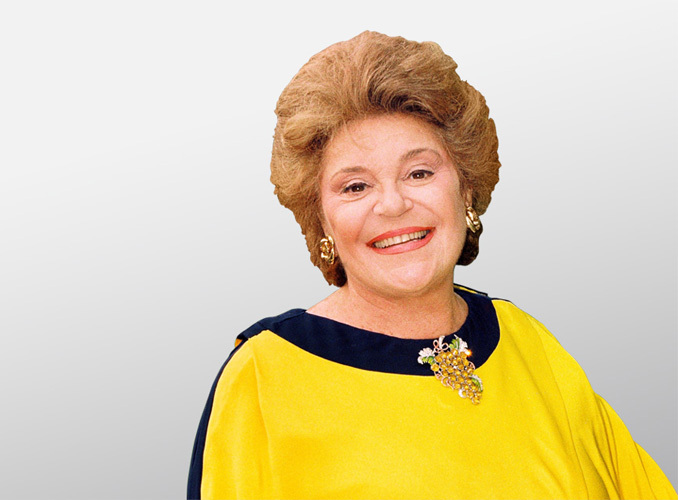 A well-known actress, she ended her stage career in order to continue her father’s work, while resolutely bringing Mouton and the family company, Baron Philippe de Rothschild SA, into the 21st century. In 1981, Baroness Philippine revealed to the public the original artworks illustrating the First Growth labels in the form of a travelling exhibition, “Mouton Rothschild – Paintings for the Labels“. Since then, the exhibition has been warmly welcomed in over forty museums around the world. …while making the most of the whole estate. Thus, she devoted a few acres of the estate to the production of a high-quality dry white wine, Aile d’Argent, launched in 1991. Then, in 1993, she created a second wine, Le Petit Mouton de Mouton Rothschild, which very quickly found its place and its market. Estates producing premium blended wines along the lines of Mouton were established in promising parts of the world beyond Bordeaux. Opus One, in California, was endowed with a magnificent winery in 1991; it has become a world star, while a new partner, Constellation Wines, has succeeded Mondavi. In Chile, this time in partnership with the Chilean winegrower Concha y Toro and with the same success, in 1997 baroness Philippine launched another premium red wine, Almaviva, soon also given its no less superb bodega. In Pays d’Oc, alert to the potential of a region closer to home but still little known on the world stage, in 2003 she created Domaine de Baronarques, which produces both fine red and white wines. After opening a cutting-edge winery for Mouton Cadet and other branded wines under the Baron Philippe de Rothschild name at Saint-Laurent-Médoc, near Pauillac, in 1993, Baroness Philippine turned her attention to the châteaux. A new Clerc Milon sprang up in 2011, while at Mouton a magnificent new vat room, combining tradition and technological progress, came into service in 2012, with a tasting room looking out over the vines. The two buildings were designed and built by the scenographer Richard Peduzzi and the Bordeaux architect Bernard Mazières. Under her direction, the link between Mouton Rothschild and art has been maintained and deepened. In 1981, she revealed the original illustrations of the First Growth in a touring exhibition, “Mouton Rothschild – Paintings for the Labels”. From then on, this exhibition has been warmly received in more than forty museums in the world. An actress of repute, Baroness Philippine de Rothschild had a stage career under the name Philippine Pascal, notably at the Comédie Française and in the Compagnie Renaud Barrault. 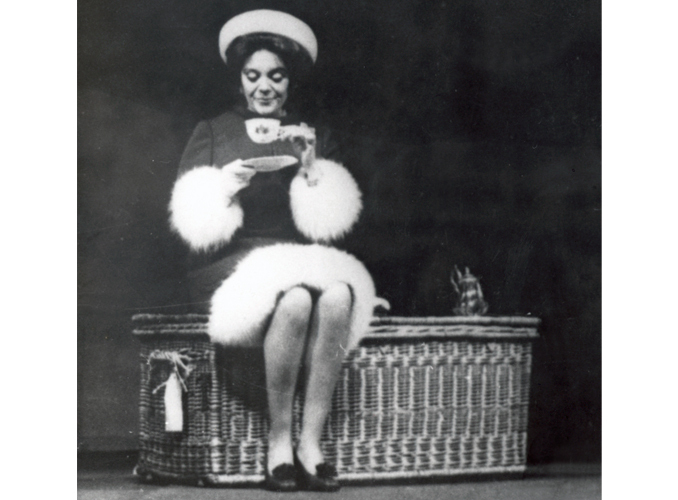 Here, in the play Harold and Maud in the 1970s. 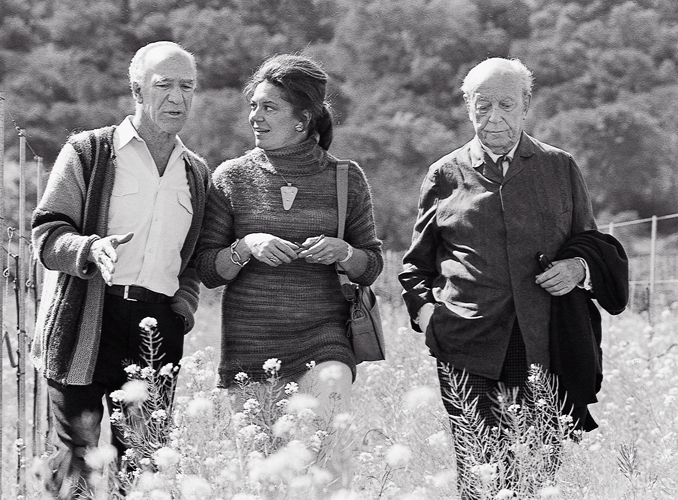 From left to right : Robert Mondavi, the Baroness Philippine de Rothschild and her father the Baron Philippe de Rothschild in California. 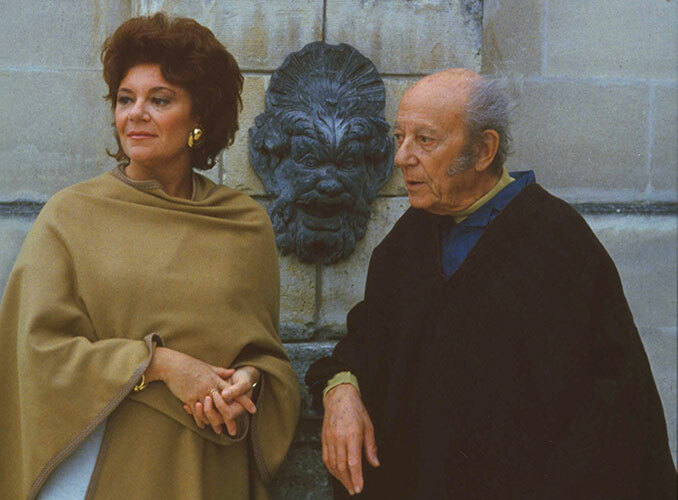 Baroness Philippine de Rothschild and Baron Philippe at Mouton in 1984, before the Silenus Fountain. 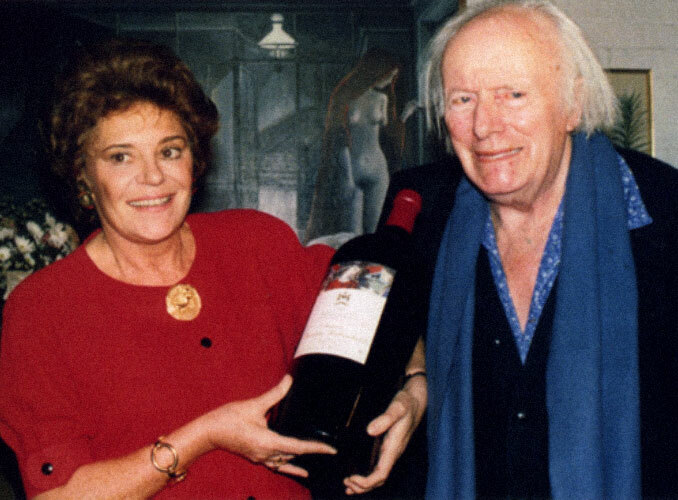 Baroness Philippine de Rothschild with the painter Paul Delvaux, who created the 1985 Mouton Rothschild label. 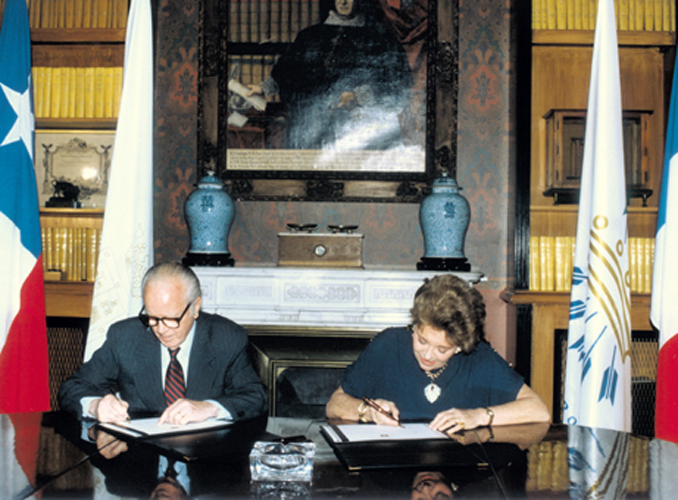 Baroness Philippine de Rothschild and Eduardo Guilisasti Tagle, chairman of Concha y Toro, sign the birth certificate of Almaviva in 1997.